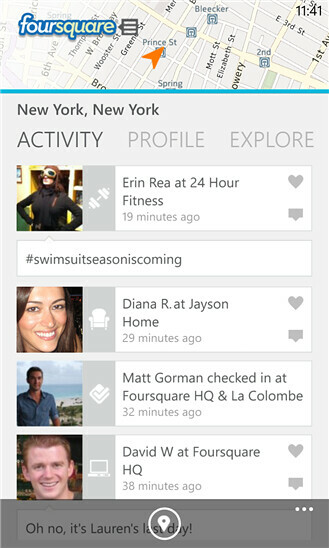 Users of Windows Phone have always been enjoying the official Foursquare app, but to be honest its quite laggy and slow. 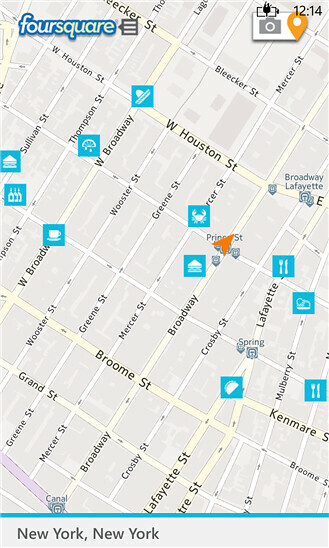 Just few days ago, the app was updated and it received a brand new interface along and has great improvement on speed! The new app has all the best Foursquare features, each tailored for the Metro UI — beautiful maps, great insider tips, trending places, and more. 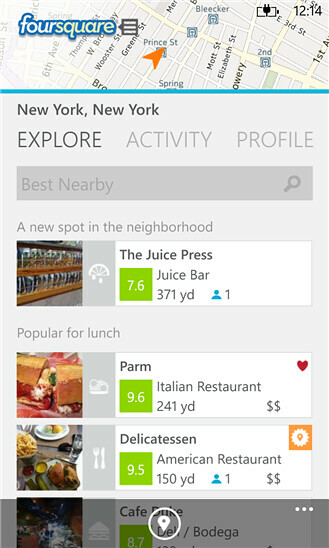 Some of the Lumia models even integrate Foursquare data into their augmented reality experience, so it feels like you’re in the future when you’re finding cool places and money-saving deals. *All Windows Phone 8 devices are supported, though it has feature optimizations for Nokia Lumia phones.